My husband loves Kesari. 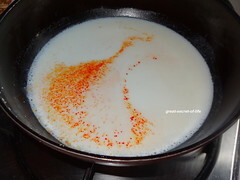 Normally when I do kesari I do it by mixing water and milk equally. Sometimes I do completely with milk. 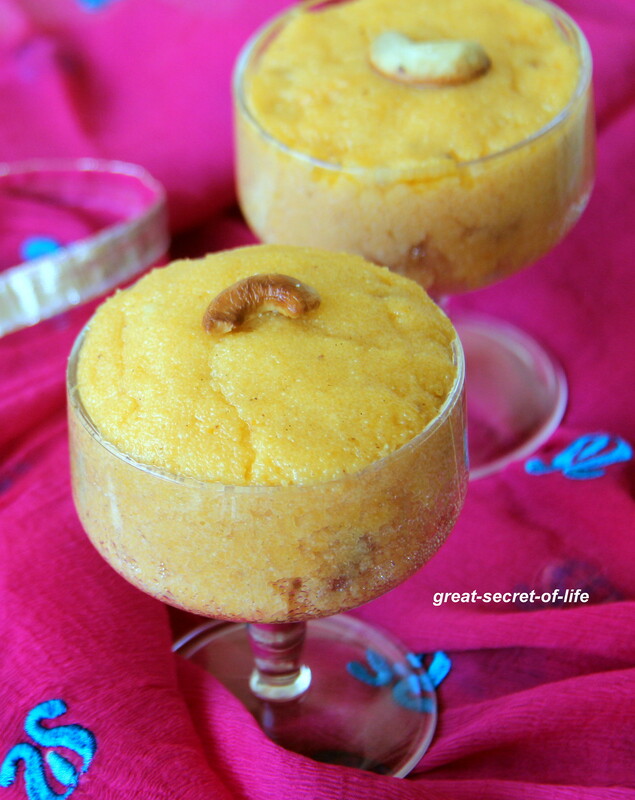 This is one of simple sweet / dessert dish even bachelors can try their hands on. 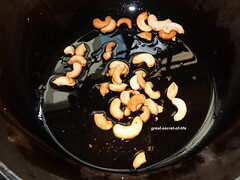 To have this you don't really need a occasion.. Just need about 30 mins...Happy Tamil new year! Nice sweet way to start your year! I would like to taste the one of the bowls right now. Perfectly made traditional dessert. Looks delicious!! Happy new year dear!! 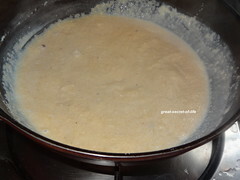 Happy tamil new year wishes Veena, very delectable and irresistible paal kesari. 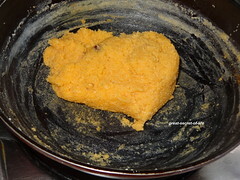 My H alos loves kesari very much. 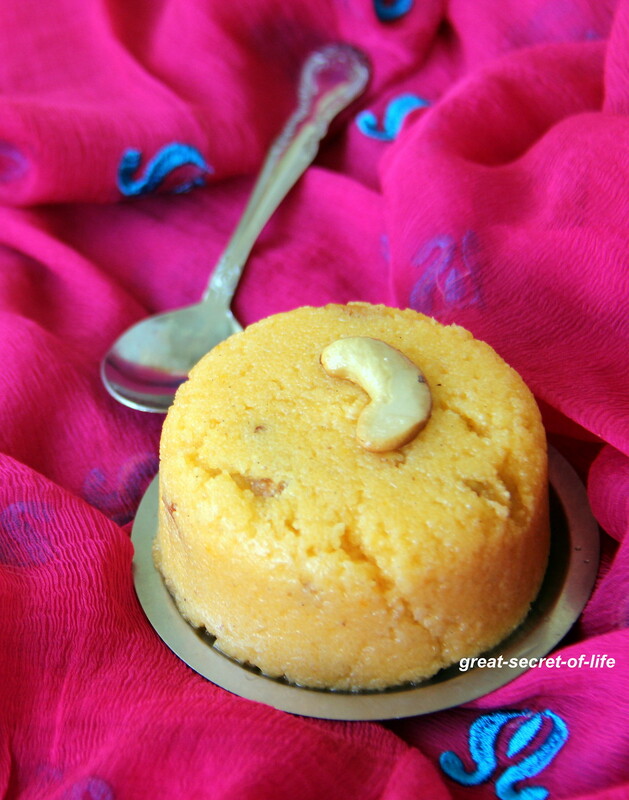 I love kesari too. Compared to Western desserts/sweets, I melt over Indian sweets and am melting after seeing your version of kesari. 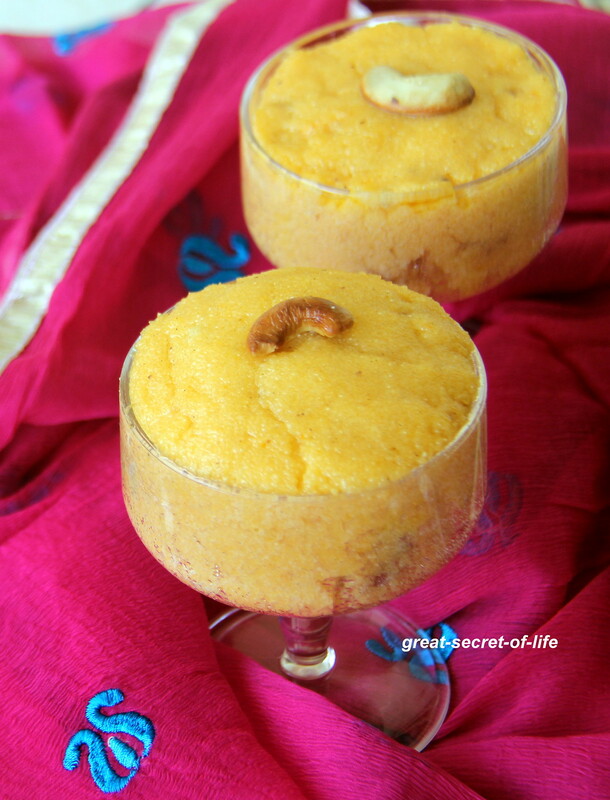 Delicious looking kesari...Love it anytime...Happy New Year. 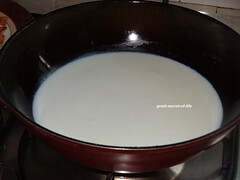 Tamil New Year Wishes to u n family, delicious sweet!!! 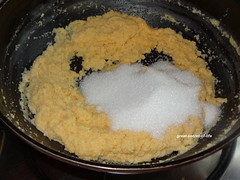 Kesari looks delicious and yummy.. Loved it ! 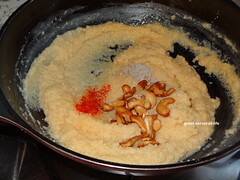 We call this "Sheera". Happy Tamil New Year. 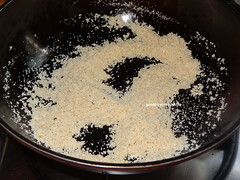 I have never had a dessert prepared with semolina. It looks delectable! 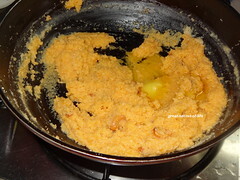 Kesari has been on my to-do list but since hubby doen't like it much I have been putting off for later but now seeing this I really wish I made some now. Lovely colour and beautiful texture... yummy !